Foreign aid is helping to accelerate Nepal’s transition to a socialist State. By working largely through government systems, foreign aid has magnified the dependency on the State, stunted the maturity of civilian non-State institutions and nullified change agents. The socialist State of Nepal will involve the aggregation of society and economic activities into community owned structures with a dominant monopoly State that leaves no space for civilian institutions outside of the State. Lack of economic prospects, the growing political-social-economic disillusionment and institutional collapse fuels Nepal’s steady march towards this socialist State. Two weeks ago (Republica, 29 January 2019), I predicted that the socialist State of Nepal was no more than seven to ten years away. This transition to a socialist State will be expensive. Aid is inadvertently financing the march to a socialist State, despite the assistance being delivered by well-intentioned multilateral and bilateral development partners who genuinely hold Nepal’s development interests at heart. In a rare address to parliament on January 6, 2019, Prime Minister K P Oli noted that in the first year of his government, foreign aid had increased 163 percent from the previous year to reach NPR 112 billion. Aid remains critical to Nepal, accounting for approximately 30 percent of Government’s expenditures. Foreign aid in Nepal isn’t all geo-politically motivated and intrusive. Over the years, Nepal’s development partners have leveraged their assistance to press for reforms and demand greater accountability. In recent times, donors have accepted, at the government’s prodding, that all foreign aid flow directly through government systems toward development plans constructed by the government. This would help coordinate different aid initiatives, make it easier to plan and monitor. But Nepal’s development challenges cannot be addressed by government alone. It requires a broader eco-system of civilian institutions outside of the State that can push new ideas, create pressure for reforms and enforce accountability. 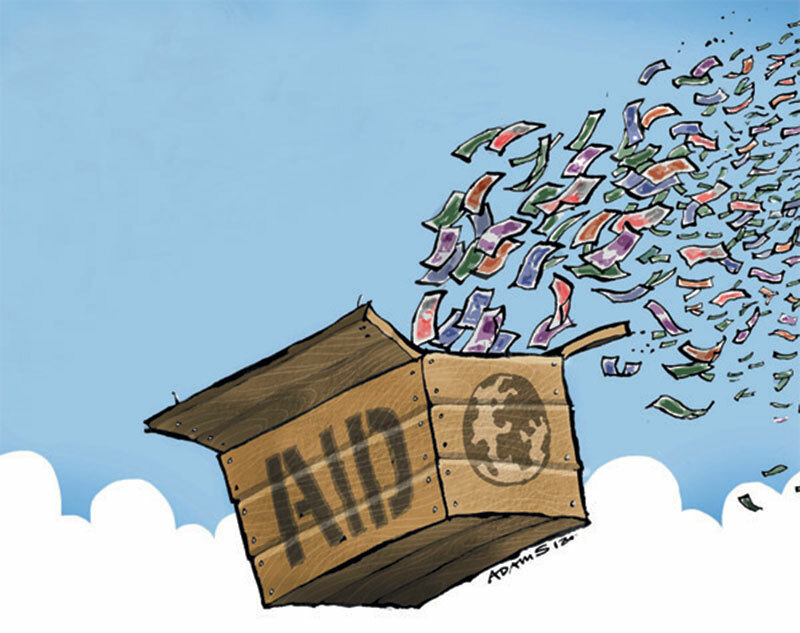 The continued flow of foreign aid through government systems is financing the creation of a monopoly State that is eroding the prospects of strong civilian institutions. Donors have approached Nepal’s development challenges narrowly in terms of technical and financial constraints. If you throw enough money and good people at the problem, it will eventually be solved. But political incentives, institutions and structures—the political economy in short—also has a key role to play in shaping outcomes. The underlying political-economy is far more important to understanding development challenges. It helps to explain, for example, why technical and financial constraints continue to persist despite significant development assistance. In Nepal’s case, the failure to incorporate the political economy into development assistance is what makes individual projects successful, but fails to galvanize broader sustainable change. At a granular level, most projects in Nepal are individually all reasonably successful when measured in terms of their outputs. But when assembled into a broader mosaic, these projects fail to add up to lasting change. Each of the aid projects is individually successful. But even after years of development aid towards these projects, we fail to create and sustain political-economy systems that allow us to be more self-sufficient or even responsive to our needs. The constitution, with decentralization and federalism, offers a fresh breakthrough opportunity. The constitution provides the basis for a broad based approach, where State and non-State institutions could work collectively toward prosperity, stability and peace. The immediate challenge, and larger risk, isn’t just that foreign development aid isn’t producing results. It is that foreign development aid is eroding the prospects of a broad-based political economy that can secure the vision of our constitution. Many of Nepal’s development projects have not done an honest enough assessment on the motivation for aid. Development assistance, differentiated from humanitarian assistance, must seek to do something beyond just fulfilling a need; it must do something additional to unlock a development pathway. Consider the generous grant of approximately $500 million by the United States through the Millennium Challenge Corporation (MCC) to build transmission lines, roads and provide technical assistance. There is no doubt this infrastructure is acutely required. But how does this grant help Nepal address its underlying problems in the power sector? How does it position Nepal to sustainably grow its power sector? By MCC’s own admission, this project offers a high return on investment. With Government guarantees, Nepal Electricity Authority (NEA) could have borrowed to build these lines. Need alone, the fact that we need the transmission lines, is not an adequate justification for foreign aid, especially when that aid is intended to offer a pathway to growth. Foreign aid without additionality crowds out the possibility of change. The transmission lines that MCC is financing for the government should have been built with commercial financing. And if Government were not able to raise commercial capital for the project, it would have been an opportunity for Nepalis to ask why a monopoly utility with no competition, low costs and adequate tariffs is unable to raise debt for even its most basic investments. The people of Nepal deserve a chance to change for the better. Foreign aid cannot be depriving Nepalis of a chance to push for positive change. Donors face the threat of sanction if they choose to work outside of government systems. In complying with this requirement, foreign aid flows largely through government systems. Even when it is channelled outside the system, it remains subject to government approvals. The overhang of government approvals for aid has weakened the ability to forge civilian institutions and diffused the pressure for change. Instead of an eco-system of civilian institutions that can offer new ideas, challenge existing failures and demand accountability, civilian institutions have been co-opted as extension of the State and are highly dependent on government patronage. Corruption is also the direct result of the failure to build these civilian institutions. 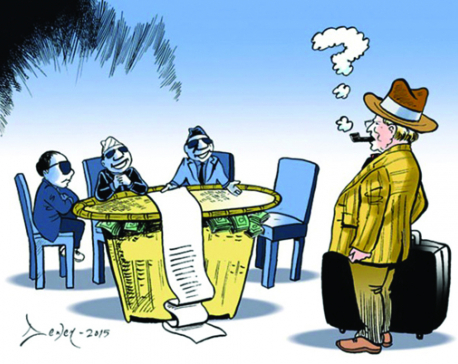 With no mechanism to demand accountability and transparency other than through State sponsored institutions, corruption remains the single largest problem for Nepal. As one of the largest contributors to the government’s budget, much of the corruption stems directly from donor funds. 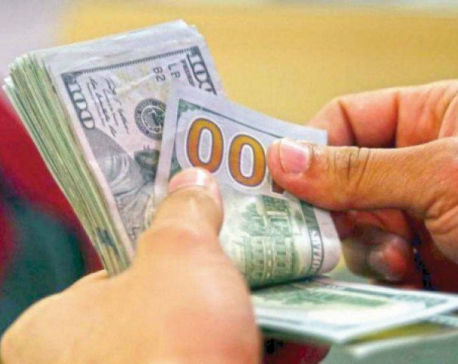 Donors have failed to put in adequate measures to prevent corruption and misuse of public finances. They have relied instead on tedious public procurement and their own processes. Even simple mechanisms that include civilian oversight or greater civilian led audits would go a long way towards ending the culture of impunity that exists on corruption. The absence of civilian institutions is hurting the case for reforms. The underlying demand and pressure for reforms remain weak. Technical assistance from donors largely drives the reform process. In the end, the best hope that Nepalis have for a better future is a government that succeeds. We all want government, whichever party represents that government, to succeed. But getting them to succeed requires parallel strong civilian institutions outside of the State to keep government on track. By blindly channelling development support through government systems, foreign aid is killing civilian institutions outside of the State. In a few years from now, only the State will be standing. The socialist State of Nepal will then have arrived.